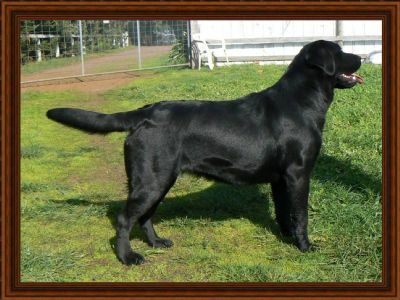 Mardi is a sweet girl who loves to retrieve and swim and is growing up to be a stunning girl. 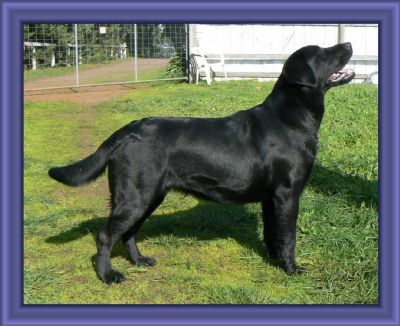 Mardi had her first outing at the SA Labrador Retriever Club 50th Anniversary Show in Minor Puppy. She really didn't want to be there, until it was all over unfortunately, but her quality saw her placed 2nd in her class. 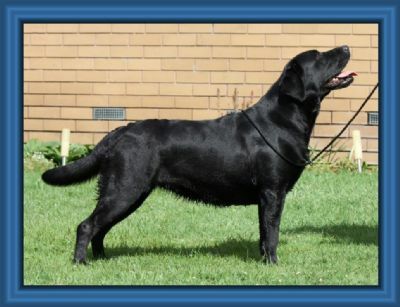 Mardi lived up to the potential she showed in Adelaide at the Victorian Labrador Specialty where she won her class of 9 and was then given Best Puppy in Show under Mr David Hepper from Mardas Labradors UK. Absolutely lovely black youngster with lots going for her. Liked her head neck and shoulder and clean outline. Just needs a little more training for the showring. Very promising. Nice type, with good head and expression, good neck and front. Strong body, good quarters and moved well. Best Puppy in Show.